Intersections Performances is organised by researchers from the Media and Arts Technology programmes at QMUL. Throughout the week 10 - 16 September, we will be performing pieces originated from the inventive research of MSc and PhD students, fascinating your senses with immersive installations, experimental electronic music, haptic interactions and much more. Transfigured Night: a night of experimental electronic music featuring live electronics, live coding, audio-visual works, new instruments. 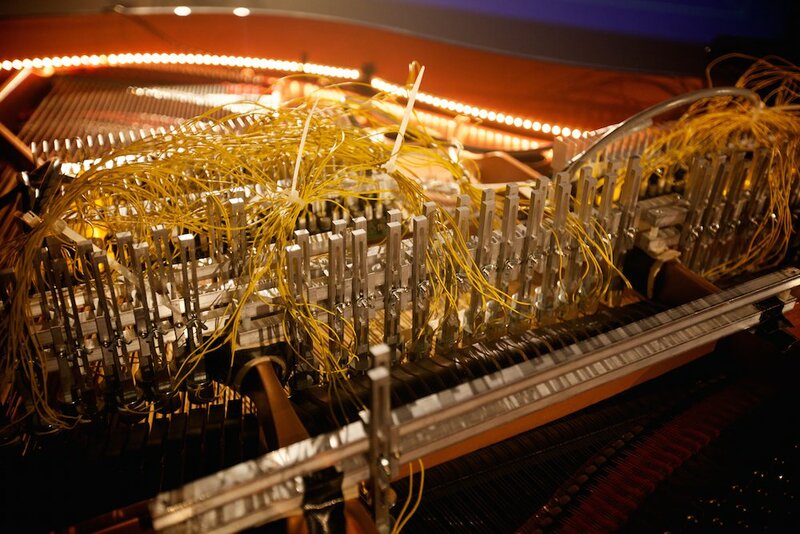 Magnetic Attraction: an evening of music performed on the magnetic resonator piano.